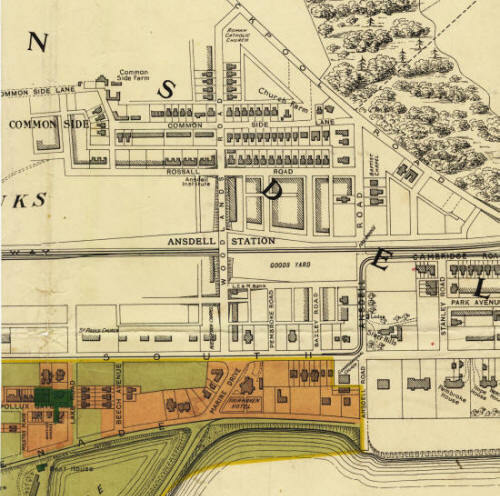 Plan c1908 of Ansdell showing the location of the goods yard. The Station Master's House was also on this site. The tramway is also marked running along Cambridge Road, Ansdell Road & Clifton Drive.